Wallis and Futuna is located about two-thirds of the way from Hawaii to New Zealand, at 13°18′S 176°12′W﻿ / ﻿13.300°S 176.200°WCoordinates: 13°18′S 176°12′W﻿ / ﻿13.300°S 176.200°W, (225 mi west of Samoa and 300 mi (480 km) north-east of Fiji). Cathedral of Our Lady of the Assumption (French: Cathédrale Notre-Dame-de-l'Assomption de Matâ'Utu), also known as Matâ'Utu Cathedral, is a Roman Catholic cathedral, and a national monument of France, located in the town of Matâ'Utu on Uvea, in Wallis and Futuna. It is a dominant edifice in downtown Mata-Utu town, capital of Wallis Island. It bears the royal insignia of Wallis, a Maltese cross between its towers. The cathedral is also known as the "Our Lady of Good Hope Cathedral". It is the seat of Bishop Ghislain Marie Raoul Suzanne de Rasilly. This article is about the demographic features of the population of Wallis and Futuna, including population density, ethnicity, education level, health of the populace, economic status, religious affiliations and other aspects of the population. The official flag of Wallis and Futuna is the French national flag, as it is a French territory. Wallis and Futuna has a locally used unofficial flag which bears the French flag in the canton. Futuna (; French: [fy.ty.na]) is an 80 km2 island with 5,000 people and max. elevation of 500 m in the Pacific Ocean, belonging to the French overseas collectivity (collectivité d'outre-mer, or COM) of Wallis and Futuna. It is one of the Hoorn Islands or Îles Horne, nearby Alofi being the other. They are both a remnant of an old extinct volcano, now bordered with a fringing reef. On the island is the place (where the cathedral of Poi now stands) where Pierre Chanel was martyred in 1841, becoming Polynesia's only Catholic saint. Futuna takes its name from an endonym derived from the local futu, fish-poison tree. This is a list of airlines currently operating in Wallis and Futuna. There are no active airlines. Following is a List of senators of Wallis and Futuna, people who have represented the collectivity of Wallis and Futuna in the Senate of France. The department was created on 29 July 1961, and the first elections were held the next year. There are 36 villages with municipal status in Wallis and Futuna, including the capital Mata'utu. The total population at the census of population of 2006 was 15,301. AlofiSince 2003 Wallis and Futuna has been a French overseas collectivity (collectivité d'outre-mer, or COM). Politics of Wallis and Futuna takes place in a framework of a parliamentary representative democratic French overseas collectivity, whereby the President of the Territorial Assembly is the head of government, and of a multi-party system. Executive power is exercised by the government. Robert Laufoaulu (born July 7, 1947) is a member of the Senate of France, representing the islands of Wallis and Futuna. He is a member of the Union for a Popular Movement. 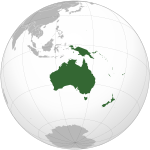 Wallis (Wallisian: ʻUvea) is a Polynesian island in the Pacific Ocean belonging to the French overseas collectivity (collectivité d'outre-mer, or COM) of Wallis and Futuna. It lies north of Tonga, northeast of Fiji, east-northeast of the Hoorn Islands, east of Fiji's Rotuma, southeast of Tuvalu, southwest of Tokelau and west of Samoa. Its area is almost 100 km2 (39 sq mi) with almost 11,000 people. Its capital is Matāʻutu. Roman Catholicism is the predominant religion. Its highest point is Mount Lulu Fakahega (131 metres, 430 ft). Wallis is of volcanic origin with fertile soil and some remaining lakes. Rainfall is plentiful. It was part of the Tongan maritime empire from around the 13th to 16th century. By that time the influence of the Tuʻi Tonga had declined so much that ʻUvea became important in itself. The big fortress of Talietumu close to Lotoalahi in Mua was the last holdout of the Tongans until they were defeated. The island was renamed "Wallis" after a Cornish navigator, Captain Samuel Wallis, who saw it while sailing aboard HMS Dolphin on 16 August 1767. On 5 April 1842, the authorities of Wallis Island requested protection by France with a protectorate treaty signed in April 1887. After a referendum in 1959, Wallis became a French Overseas Territory in 1961. The Wallis and Futuna national soccer team is the national soccer team of Wallis and Futuna. Wallis and Futuna is not a member of FIFA and, therefore, is not eligible to enter either the FIFA World Cup or the OFC Nations Cup. Wallis and Futuna has played twenty-four international matches, all at the South Pacific Games between 1966 and 1995, and holds an overall record of five wins and nineteen defeats. The Wallis and Futuna national rugby sevens team is a minor national team that competes in the Pacific Games and in regional tournaments.